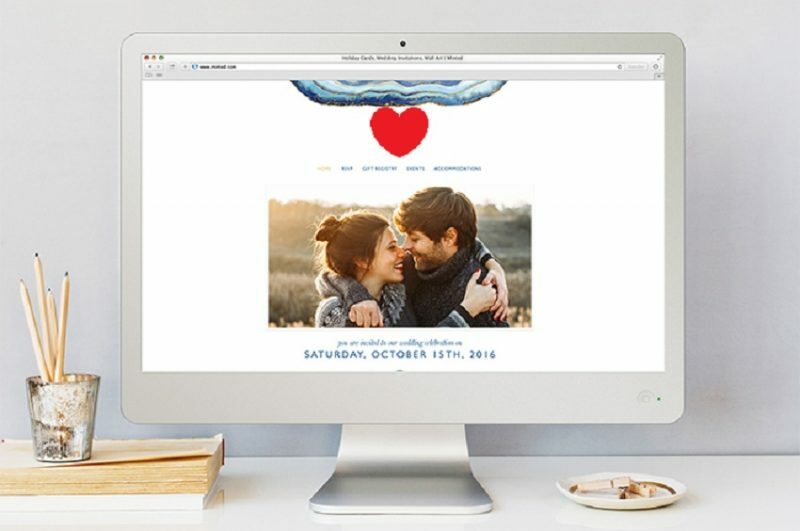 Anyone with a little knowledge of computers or the Internet can create a stunning wedding website. All you need is a few pieces of software, a good web host, and a couple hours to make your everlasting digital commemorative website for your special day. Follow this quick beginner’s guide to create your own wedding website or to make a special online gift for the groom and bride-to-be. The first thing you’ll need to do in order to make a website to commemorate and plan a wedding is to choose a web host. Web hosting companies offer Internet-accessible storage on web servers so that anyone on the Internet can access your content through your website. There are many good options for web hosting companies but the general rule of thumb is to avoid any free web hosts. Free web hosts tend to place ads on your website and limit the amount of traffic you can receive. This would result in your website failing to load during peak times or if you get more than a few visitors to your site at once. Most reputable web hosts offer plans ranging from $5 to $20 per month, depending on how much storage space you need and how many visitors you’re likely to have. If you’re planning a wedding with just a dozen or so guests and you don’t intend to put any videos from your wedding on your website then the most economic hosting plan should work fine. If you want to upload videos, high quality photos, or expect over a thousand visits to your website you may want to purchase an unlimited hosting plan for about $20 per month. Choose a domain name for your website by registering with a Domain Name Registrar and seeing what is available. The best choice in terms of a name that’s easy to remember and type would be a TLD or Top Level Domain. This includes domain names ending in .com, .net, or .org. There are dozens of other domain extension options if you want to be a bit more creative with your website’s URL, including .space, .live, .fun, and .blog. Consider creating a domain name that includes the surname or relevant wedding details to make it clear what the site will be about and help with SEO. Domain names generally cost between $5 and $15 and need to be renewed annually. Enter your newly purchased domain name as the primary domain on your new hosting account and locate the web server addresses on your host’s administration panel. This address is often labeled “Name Servers” and can be copied and pasted into the name server input field on your domain registrar’s website. Once you’ve purchased web hosting and a domain name for your website you’ll need a to select a Content Management System to serve as the software platform for your content. Most websites are run on the free WordPress CMS and it’s a great option for beginners. WordPress is easy to use and there are tons of free and premium themes and plugins that allow you to customize your WordPress site as desired. The backend and administrative options of WordPress will take an hour or so to learn if you’re new to building websites, but you can build your website in minutes once you’ve gotten an understanding of the menu options and how WordPress works. Other options worth considering when you’re planning to make a website include Joomla and Drupal. Both of these CMSs are free and easy to use much like WordPress. To install your CMS just login to your web host and find the Control Panel. From the Control Panel most hosts will allow you to install WordPress and other popular CMSs through a one-click installation option. Whether you’ve gone with WordPress, Joomla, Drupal, or another CMS, you can get a great head start on your wedding website by choosing a theme to display your content. Try browsing popular theme developer’s websites for themes fitting your selected CMS. Some of the most popular theme makers for WordPress and Joomla include ThemeForest, Elegant Themes, and TemplateMonster. You can also find free themes at the WordPress Theme Directory. If using WordPress, login to your WordPress installation using the username and password created when you went through the one-click or alternative installation process. Scroll down on the left-handed menu to the Themes tab and select install a new theme. The process is similar for Joomla and Drupal, though in these CMSs themes are often called templates. With your theme selected and installed, it’s time to add content to your wedding website. Upload any photos and videos you have to share to the media library in WordPress or another CMS so you can place them on the website in various sections. In WordPress, this is done by selecting Media from the left-hand menu on the WordPress administrator dashboard. Create the pages you’d like to display on your website by choosing the “create new” under the Page tab in WordPress. For pages you want to appear on the main menu be sure to select the “Add this page to Main Menu” option. If you want to make blog posts as well simply select the “Create New” option under your WordPress “Posts” tab. Add media like photos and videos to your pages and posts by using the Add Media button at the top of each article. Replace images in sliders and other staple areas of your theme by using the theme’s instruction file or through the frontend editor. To access the frontend editor simply visit your domain name while logged into WordPress. Search for plugins through the WordPress Plugins Directory or a third party to add special features to your website. Most wedding websites would benefit from a Maps plugin, a photo album, and a guestbook, and there are plenty of options for these features in the theme’s directory. Once you’ve setup your wedding website remember to share it with others through Facebook and other social media platforms to spread the word about your special day. Include driving directions, dress codes and other information that your wedding guests will find useful. After the event consider adding video from the wedding and other commemorative content, especially if you plan to renew the domain name and hosting for years to come.